Play when a faceoff begins. Put this card on the top of your deck. 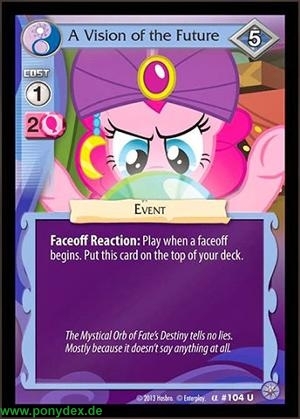 The Mystical Orb of Fate's Destiny tells no lies. Mostly because it doesn't say anything at all.